So, anyone else is pulling This PC and renaming it My Computer just to remind Microsoft that there are many like it, but this one is mine? I don't have icons displayed. 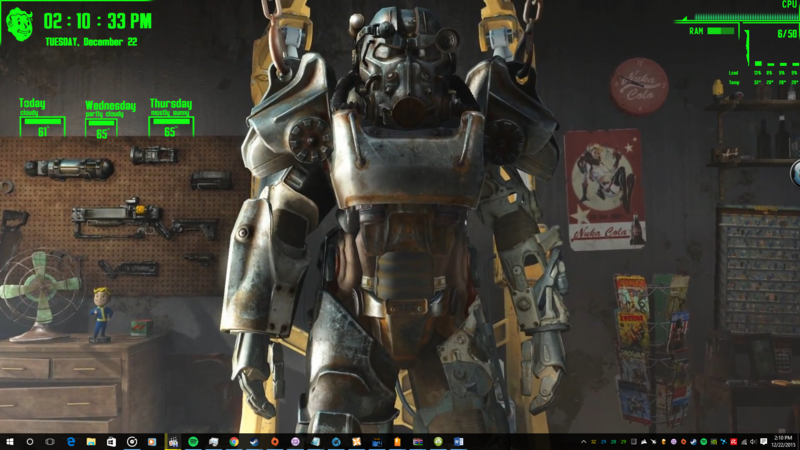 Rainmeter all the way. I find it relaxing occasionally re-arranging icons on my desktop It also is a good way to keep track of which games i still have installed! I can just make tiles for the games in the Start menu, but for the most part I just launch them through Steam, Origin, or GOG Galaxy. I guess Uplay, too, but I try to avoid that as much as humanly possible. I just use the file explorer icon on the task bar. I just use the search button. Fast, and everything is there. On my Mac, its all on the dock. Can I please get a screenshot? Don't mind all the icons on the taskbar. Schoolwork for some of them. Where are all the game icons?